Thank-you cards are a lovely way to show your gratitude. Whether you are saying thank you for a gift, a kindness, or one of the numerous other things that we have to be thankful for, a rubber stamped handmade card is the perfect way to do this. Picking the right sentiment for a thank-you card can make all the difference. 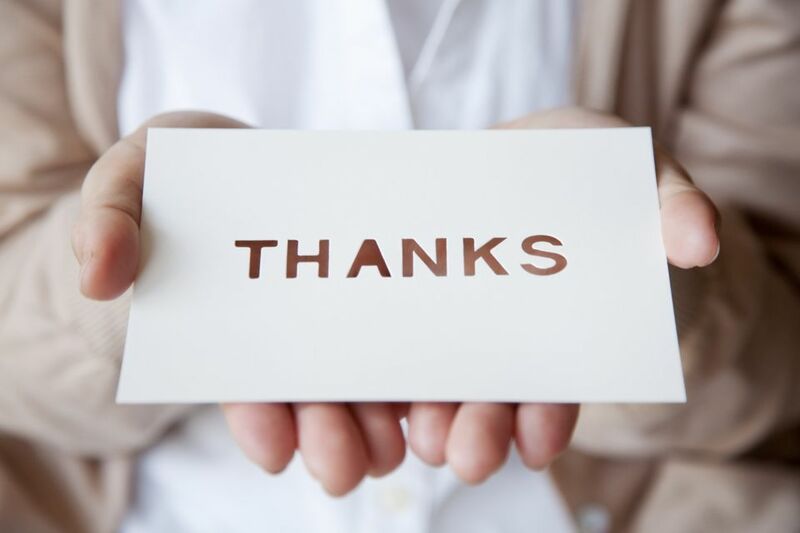 If you are going to the trouble of creating a thank you card, a few well-chosen words can make the card that extra special and add a little personalization. Even the simplest and most basic of rubber stamped cards can be transformed with these thoughts. There are many suitable thank-you sentiments that are perfect for use in a card. One thing to keep in mind is copyright and licensing. While you may be able to use a poem, lyric, or other creative work free of charge for a personal note sent to a friend, you could be out of bounds in using it on cards you plan to sell. If you are creating cards to sell at craft fairs, online, or through other venues, that falls under "commercial use." In this case, you must avoid trademarked images (such as Disney characters) as well as quoting copyrighted works, unless they have entered the public domain due to age. Goodreads Thank-You Quotes: Look through these quotes from books. Sentiments or greetings can also make great inspiration for the design of a card. Make the card more traditional or more lighthearted depending on the tone of the words chosen. Write or print the sentiment and add it to the card. Rubber stamp around the paper to integrate it into the card design. When you find interesting sentiments that don't fit the card you are making today, make a note of them for future reference. There is nothing quite so frustrating as knowing that you have seen the perfect sentiment, but not remember where.